Even the best relationships have issues, now and then. 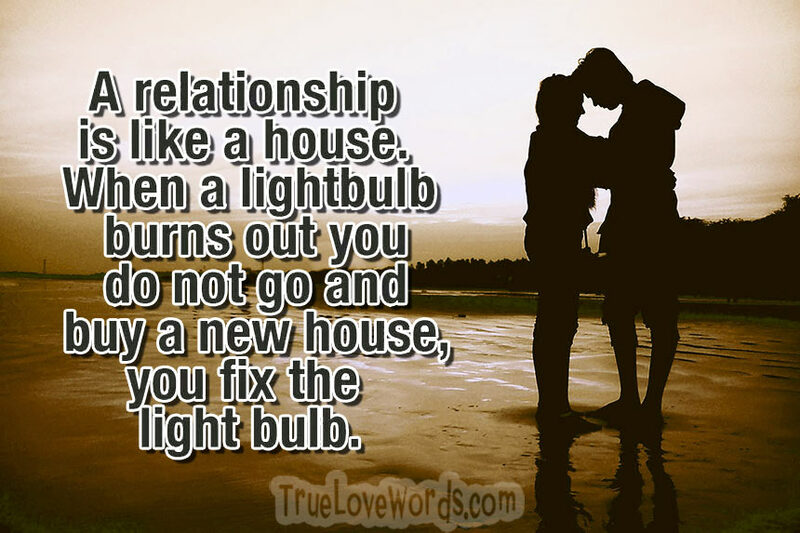 When your relationship stumbles, do you walk away or do you try to work it out? Most of us at least try to work it out. After all, you have invested time and your heart into someone you don’t want to walk away unless you are certain there is nothing else you can do. If you are facing some of these relationship problems here are some helpful tips to help you try to work through your issues. Follow this little guide to get help and solve these ten common and crucial relationship problems. This can be one of the hardest issues to work past. But, you can work past it, if you want to. First, the guilty party needs to end the affair, and you and your partner need to sit down and have what will likely be a long and painful honest conversation. This is not an issue you can just work past after one conversation. It takes time and open communication to rebuild trust and heal wounds that cut this deep. Neither of you can expect this to go away over night. There will be anger and tears. There will be trust issues that you will have to work through. If you really want to get past this it will take work, lots of it. Be prepared and willing to go the distance, or just cut ties and walk away. Either way it will take time to heal. Whether you and your partner don’t talk enough, or when you do you feel like you are speaking two different languages communication problems can destroy a relationship if they aren’t fixed. But, they can be fixed. First pinpoint exactly what is going wrong in your communications. Sit down alone first and write things down. Then, find a different way to approach your conversations. If he isn’t hearing you or understanding you, try presenting things a different way. If he just won’t talk to you, or take the time to listen, then you need to calmly let him know he needs to be here to hear you or things will never work. Try to make sure you are having important conversations at times that no one is around and there are no other distractions, if one of you isn’t paying attention or isn’t comfortable in the conversation it isn’t going to be a very communicative one. A lack of trust that doesn’t stem from cheating in the relationship is a rough thing to overcome. Often one or both parties come into a relationship with baggage from their past relationships. If a lack of trust is based on the past and not on something that goes on within the relationship it is important both parties realize where these trust issues come from. Both of you have to work to get past this, even the innocent party has a part to play. Your partner or you was hurt in the past and that person needs extra time and effort to learn to trust again. Work to build that trust, both of you, understand that what someone else did long ago has no bearing on this relationship. This is again, often an issue born out of past relationships. If you want to get past an issue like this both of you need to first figure out where the jealousy and insecurity comes from. If it is a past relationship than you both need to realize that this relationship is not that one. If this comes from somewhere else, then the again you must figure out where it comes stems from. If one partner is behaving in a way that makes the other uncomfortable than you both need to decide if what is going on may really be wrong. And if so, how to change it. If the fears come from outside influences pushing their opinions onto your relationship you may need to step back form toxic people who are poisoning your relationship. This is a problem many relationships go through at one point or another. First you need to pinpoint why you don’t have the time you should to spend together. Is the reason temporary? If so try your best to get through it. If the reason is not one that is just going to go away, then you need to find a way to carve out some time. Try setting up a date night, and stick to it! If that doesn’t work or isn’t enough try slipping away for lunch together, or whatever time of day works. Meals together can be intimate quiet breaks from the rest of your busy lives. If none of these things are working, then you need to sit own with your partner, and decide if you can get past this missing time. If not, then one of you needs to make the changes necessary to have more time together. Be it a job change, a shift change, or whatever it is, if the relationship is important one of you will have to find time to spend together. This problem may not seem like a big one, but can be a true relationship killer. If you or your partner really feels like the other isn’t supportive that can rip your relationship apart. The first step here is to let your partner know that you feel like they don’t care about your feelings or support you. More often than not, they don’t realize that is how you feel, and they really do care, they just aren’t showing it. Once you talk to your partner, give them a genuine chance to change. If they don’t or they truly don’t care or have compassion for you, then you may want to consider walking away. There are a lot of things you can come back from in a relationship, but if your partner isn’t as invested as you than it may not be worth trying. This issue covers a wide range of problems. If there is a lack of spark now, but there was one before, try finding a way to reignite the spark. This can be as simple as carving out more time, or maybe having a “fantasy night” where you and your partner have a chance to get a little more wild in the bedroom. If the issue is medical, than one of you or both of you should see a doctor. 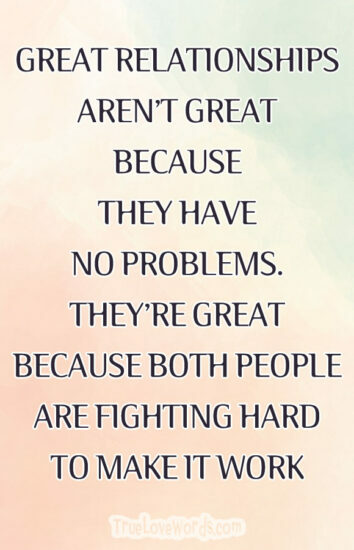 This isn’t always easy, so be patient and understanding if it is your partner’s issue. And, if it is yours, don’t fret going to the doctor, what you may think is a difficult topic, is likely one your doctor has heard before. If there was never a sexual attraction, that can be a very hard hurdle to overcome. Some couples can get past it, some cannot, it all depends on your relationship and your priorities as a couple. It happens, overtime you know your partner’s every move, their every line. The next thing you know your heart doesn’t flutter like it once did, you are just going through the motions in the bedroom. If you are bored, you need to tell your partner. The only way you two can get past this is if you talk about it, and find a way to rekindle the fire. If it is your partner who comes to you and feels bored, than be open to the conversation, and try to find a way to fix it. This is a relationship problem you can easily overcome. It is not an excuse for cheating, either fix the issue or walk away, don’t break someone’s heart because you were bored. Whether one of you came into the relationship with emotional issues or they developed later doesn’t change the fact that this is a serious issue that needs to be handled. If your partner isn’t aware of how severe the issue is, be it their issue or yours, than you need to sit down and have a conversation about it. The real handling of this issue should be left to Doctors and Therapists. You both need to be supportive of each other of course, especially in an instance like this. Be understanding, open to listening, and nonjudgmental. Often people struggling with emotional issues are afraid to talk about them openly for fear of being judged or mocked. Be the safe person they can talk to. You have two very different choices here. You can not discuss the topics that you disagree on greatly or you can walk away. Yes, there are some people who can agree to disagree and have passionate debates about the things they disagree about. Most people just want to change the other person’s point of view, and that rarely happens. If your differences won’t really matter in the long run, then it is easier to avoid discussing them, than fighting about it every couple days. If the issues you disagree on are so important to either of you that they will be a deal breaker down the road, don’t expect your partner to change or compromise their beliefs later if they won’t now. Talking about it is always the first step. Don’t be surprised if the issue isn’t fixed after one conversation, most aren’t. Sometimes talking to a therapist or a counselor can help, be it both of you going together or just one of you. Regardless of what the issue is, if it can’t be resolved, than you need to take a step back and decide if you can really live with it. If you can’t walk away and heal on your own. Don’t prolong the relationship if you can never see yourself getting past the issue, you are only prolonging the pain. If you do decide to work past an issue, make sure you are really working to move past it. It is easy to say you are, and far harder to actually do it. No matter what relationship problems you face, don’t just go away on their own, you have to address them one way or another.